The interns- Team Leornian having a meeting. 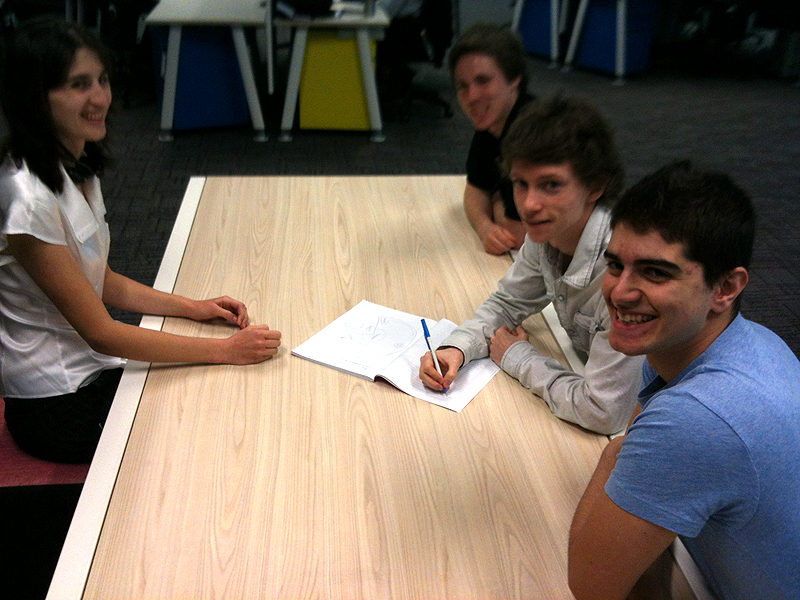 Anna Rodin, Phillip Madden, Lachlan Tweedie and Jason Azzi. 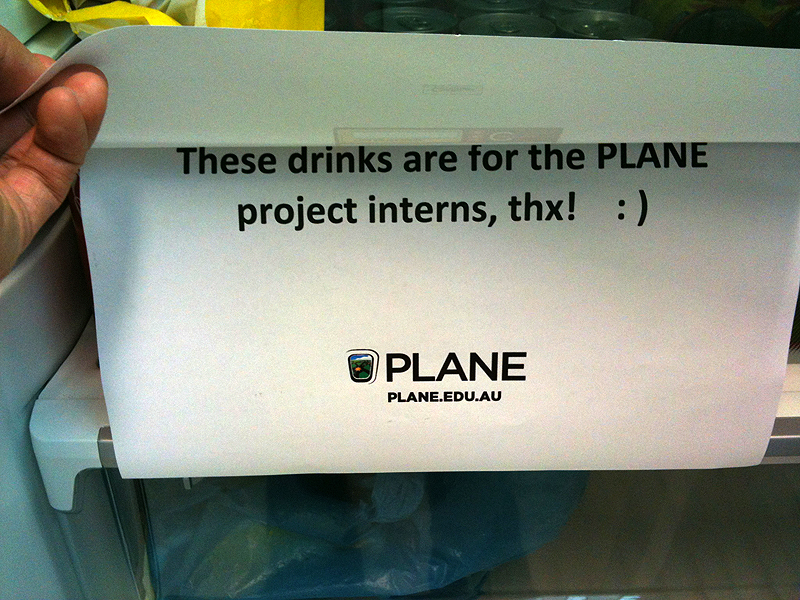 The PLANE project will have 4 interns for 4 weeks. Jonesy and I will be co-managing the team. They will be working on tasks for the PLANE virtual world Bootcamp, Leornian and other various 3D design and development tasks. 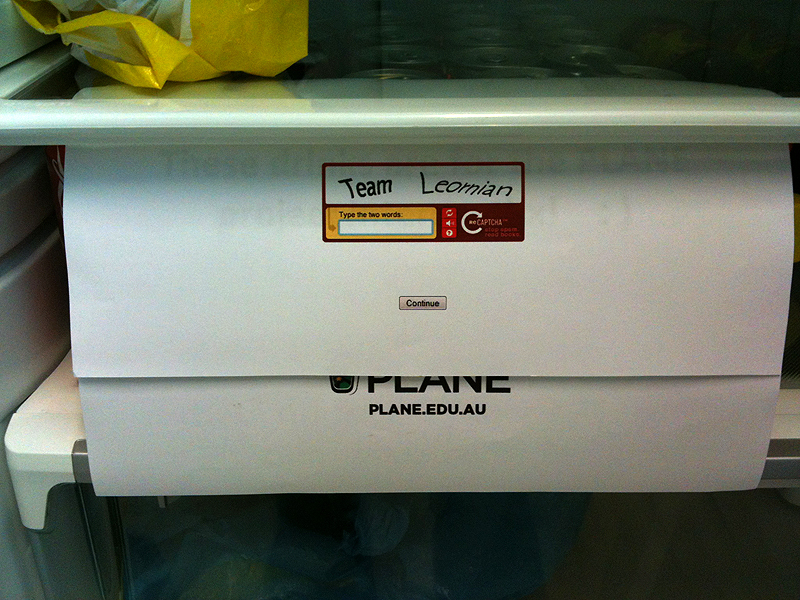 They bring energy and add to the creative and technical skills to the team. And also an awesome, cool vibe. Initial hardware for the interns until the desktop computers arrive. Initial Internet access and OpenSim access until the ADSL line is operational. A small delay with our hardware purchase meant some quick thinking and agility. We’ve setup 4 DER laptops as a temporary solution for the interns to use. 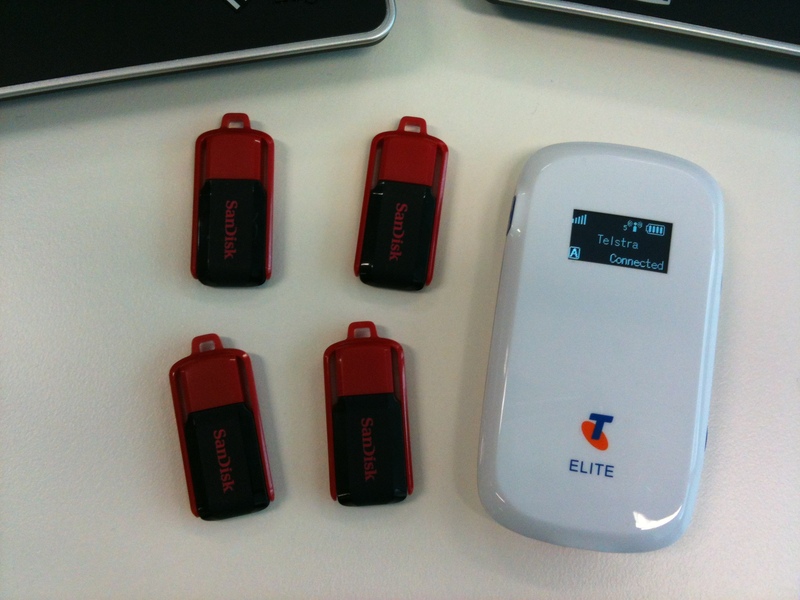 Our ADSL line is also still being setup so we’ll be using the Telstra pocket wifi for now. We’ll also initially use SimOnAStick to access OpenSim via Imprudence until our OpenSim dev server is setup. 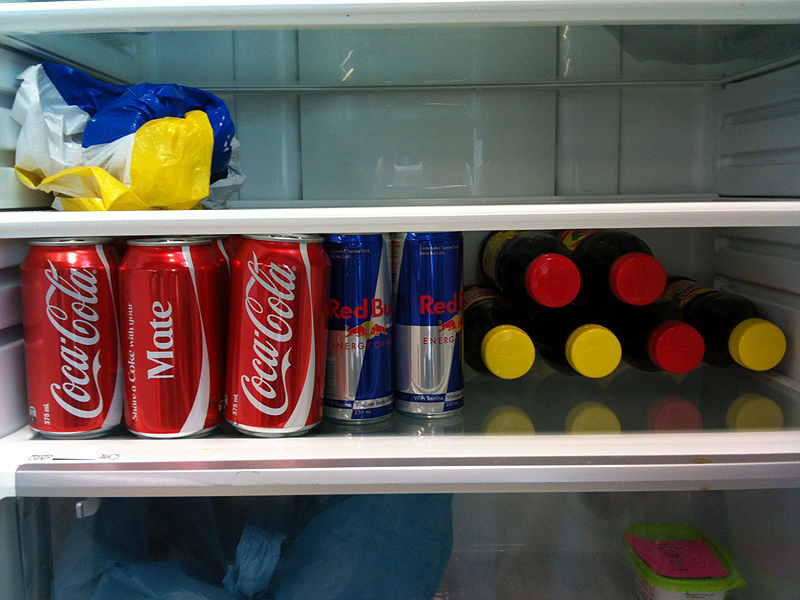 It’s cool to be an intern.